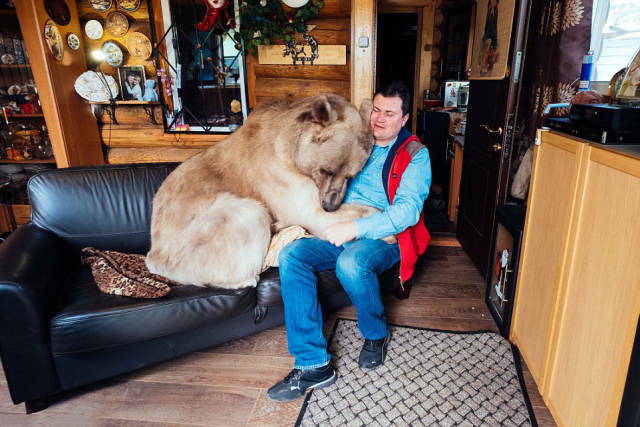 That sounds pretty much right... Well, all jokes aside, this big "softie" has been living with a Russian family for over 23 years now. 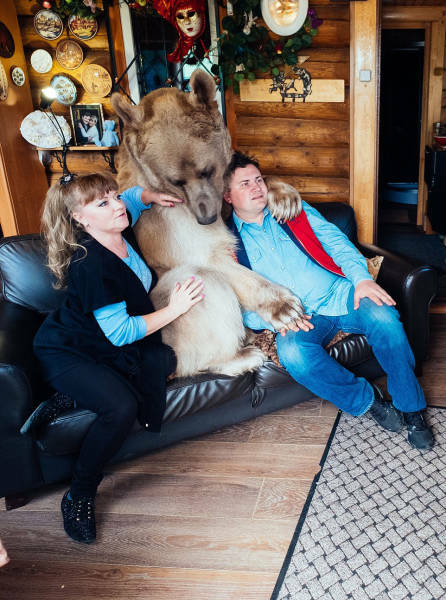 Svetlana and Yuriy Panteleenko adopted Stepan the bear when he was only 3 months old. 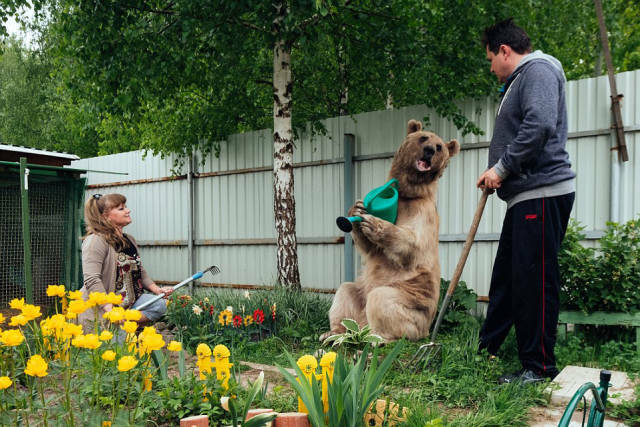 They assure that he is totally domesticated. 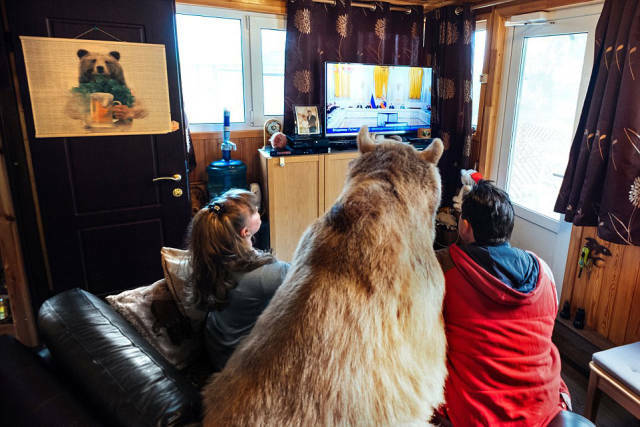 They share meals together at the table and he likes to watch TV with them while cuddling on the couch. 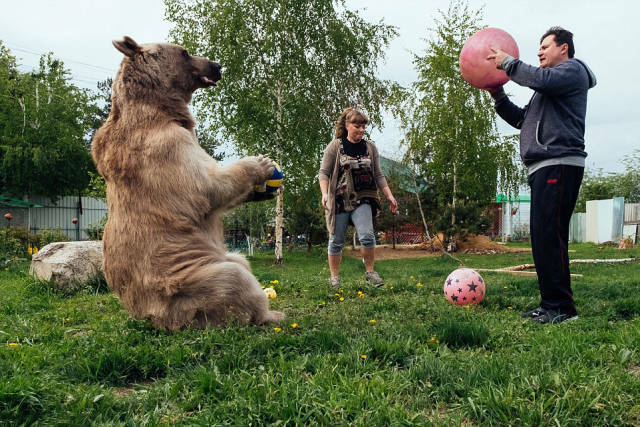 He eats an impressive 25kg of fish, vegetables and eggs a day but plays football to work off the gut-busting amount of food he's served daily. 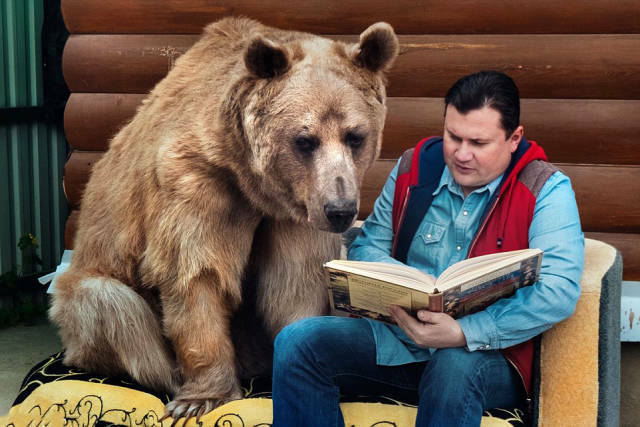 Svetlana said: "He absolutely loves people and is a really sociable bear - despite what people might think, he is not aggressive at all. 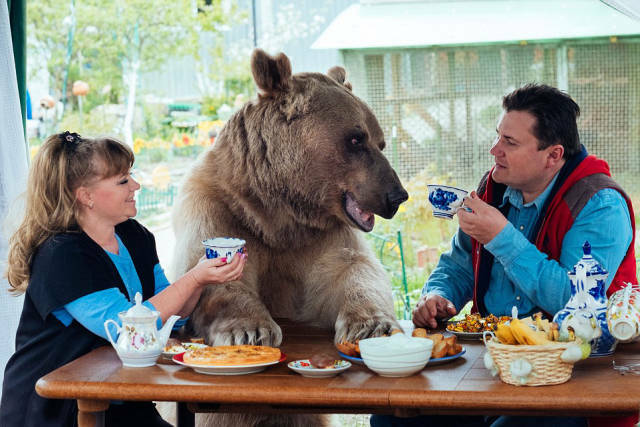 We have never been bitten by Stepan. 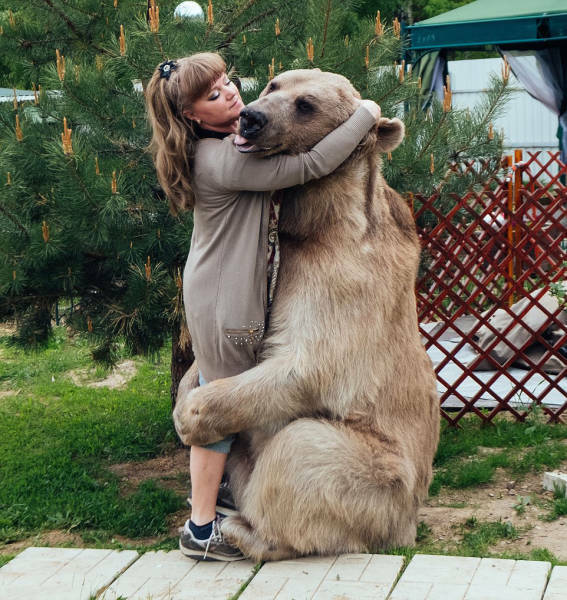 "Story like these are always great to hear I just hope for them that it will continue to be like this. 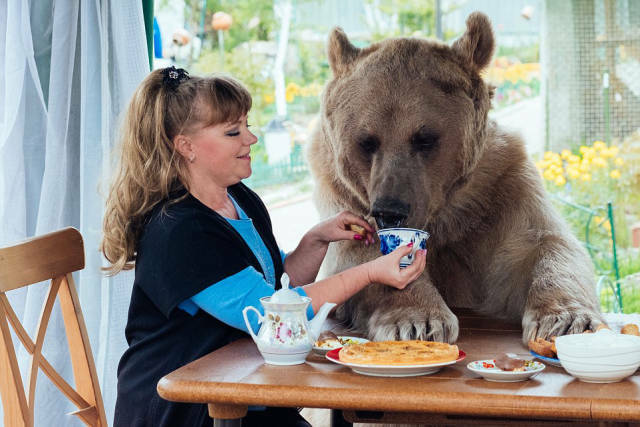 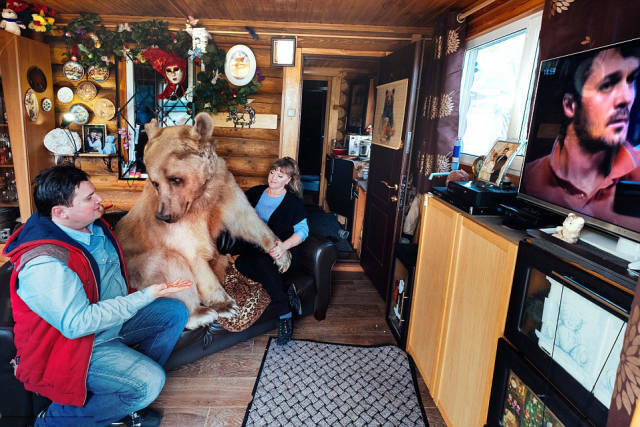 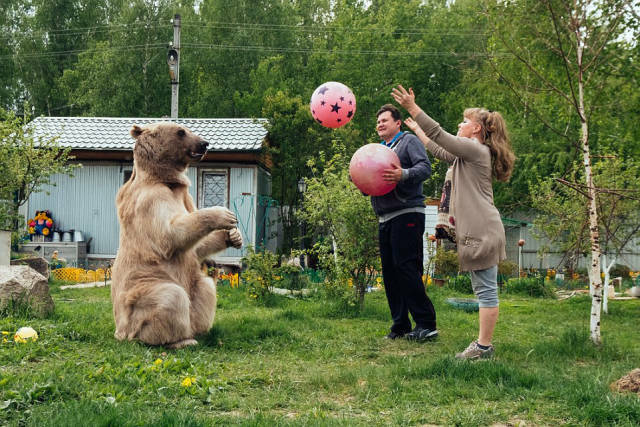 3 responses to "136 Kg Bear Lives In A Russian Family As A Pet (11 pics) "